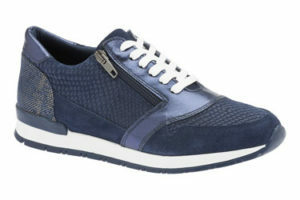 The Umberto Raffini Janice is a lady’s walking shoe with a functional style. It combines causal and urban elements which impress its many users. 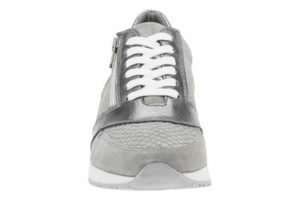 The textured leather sneaker comes in nice colors with a zip for easy wearing. As the appearance suggests, the shoe is good for both causal and semi-formal occasions. This type of shoe is designed for urban lifestyle; it is handy for running errands, hanging outs, or for wearing in the office or attending conventions. -The shoe is dressy enough but not too showy. -It is easygoing and look good with most outfits. -It is shock absorptive and provides stability. -The leather shoe is breathable for all day comfort. -Laces and zippers are handy to walk in and out of the shoe. -Good traction and cushioning for walking on various surfaces. -Some users find the shoe good for a few hours of walk but not for all-day walking. 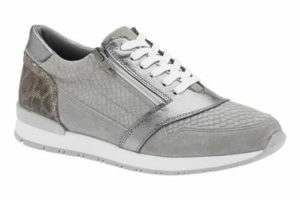 The Umberto Raffini Janice is a lady’s walking shoe. 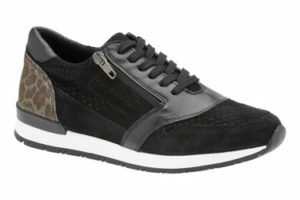 It features a textured leather look and a vivid urban chick style. The Italy-made sneakers are made with good quality and, come at a reasonable price! This dual- closure casual shoe has both laces and a zipper. 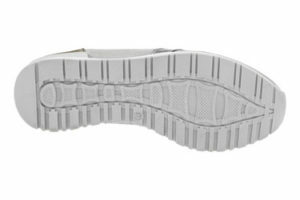 The rubber outsole provides good shock absorption as well as traction. The design of round toe looks cute and gives plenty of space for the feet. The Janice may remind its many users of another European brand, ECCO. The slightly shiny leather look in colors is special and refined but not overwhelming. For users who look for solid walking shoes but also like quality look, the Janice may be the one to go. The Janice is also very practical. It gives you effortless style in the everyday wear. The shoe is versatile with most outfits and occasions. It looks great with causal outfit, with leggings, skirts and jeans, etc. 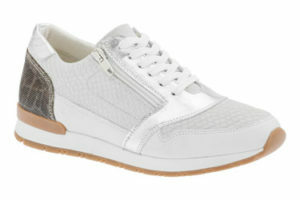 The shoe comes in four colors, among which the white one is quite popular especially in the Summer for a white look. 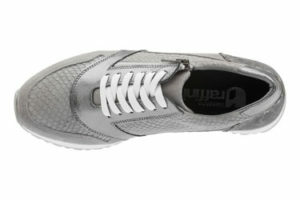 You can also find The Umberto Raffini shoes in the Walking Company. They share a good reputation of offering decent quality shoes. The shoe is generally true to size. It has a medium width, which offers enough toe room for most of the users. The shoe is good to wear with or without socks. 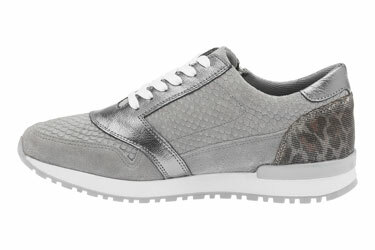 The upper features both textured synthetic and leather for a comfortable. The colors include black, grey, navy and white. Users appreciate the quality and detailing on this shoe which appear elegant without looking cheap at all. 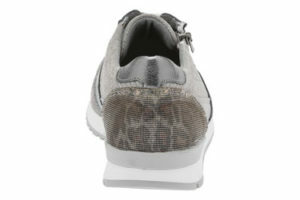 The design of overlays on the textured leather upper can also visually make feet look smaller. With the zipper, you can put on the shoe in a sec! The shoe comes with nice cushioning and support. The cushioned footbeds and shock absorbent outsoles give the feet all-day comfort. The Slightly-thick heel offers some height which is handy for some users. It also makes it to walk on wet surfaces, like grass, puddles, or on gravel and pebble roads.